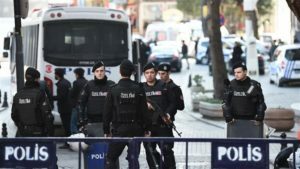 In the six months since the failed coup attempt, Turkey has arrested more than 1,600 people and is investigating at least 10,000 others who are accused of supporting terror groups or insulting Turkish officials on social media. Social media access is frequently restricted or cut off in Turkey to prevent the spread of graphic images and other material the government says would harm public order or security. Such restrictions usually follow a major crackdown or a terrorist attack. On Dec. 23, access was restricted on social media websites for several hours after the Islamic State of Iraq and Levant (ISIL) released a video purportedly showing two Turkish soldiers being burned alive. The Turkish Interior Ministry said in a statement released on Dec. 24 that legal action had been taken against 3,710 people identified by police. Beside those arrested, 1,203 people were released on probation, 767 were released and 84 others are still in detention. Charges include provoking hatred among the people; praising terrorist organizations; disseminating terrorist propaganda; openly declaring allegiance to terrorist groups; insulting statesmen; and targeting the indivisibility of the state or safety of citizens, the ministry said. Turkey declared a state of emergency soon after the failed July 15 coup, with President Recep Tayyip Erdogan ordering the detention of thousands of citizens and purging tens of thousands of public servants over alleged ties to banned groups.